… dedicated farmers are putting in the hard yards. The first steps of the specialty coffee journey are taken here, at coffee growing origin. A seasonal crop farmed at high altitudes and in moderate temperatures, coffee is the amazing seed of the Coffea tree’s fruit. Inside each cherry, there are two seeds which, once dried and hulled, become the raw product our roasters lovingly transform into something you can brew. 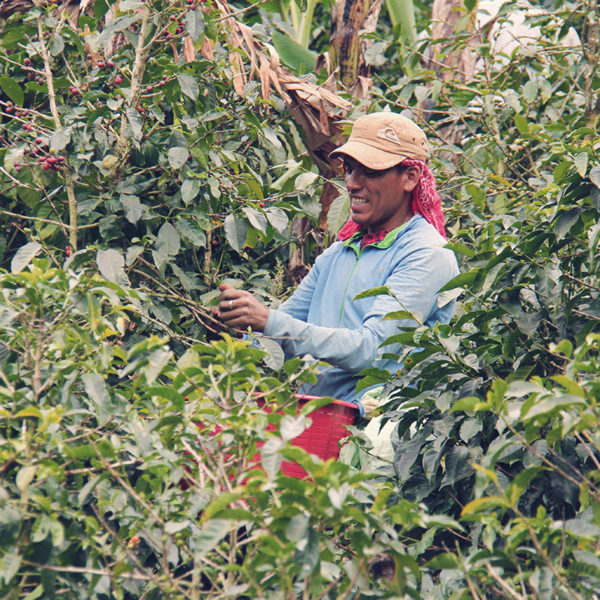 The farmers working the land, tending these trees set the tone for the rest of the coffee journey. This is no simple task – these producers are doing some hard graft with careful nurturing of nurseries for replanting, pruning and nourishing the trees and selective harvesting and processing the crop each year. Balancing this against fluctuating weather, pests and diseases and the unpredictable commodity market, it’s sometimes a wonder that any coffee actually makes it out! With all this hard work and craftsmanship to set the stage for deliciousness further down the line, we believe that it’s imperative that these amazing individuals get the recognition and recompense they deserve. Jacob and Rich, our green sourcing team, regularly travel to origin, ensuring the quality of the coffees and forming real human relationships with these producers. 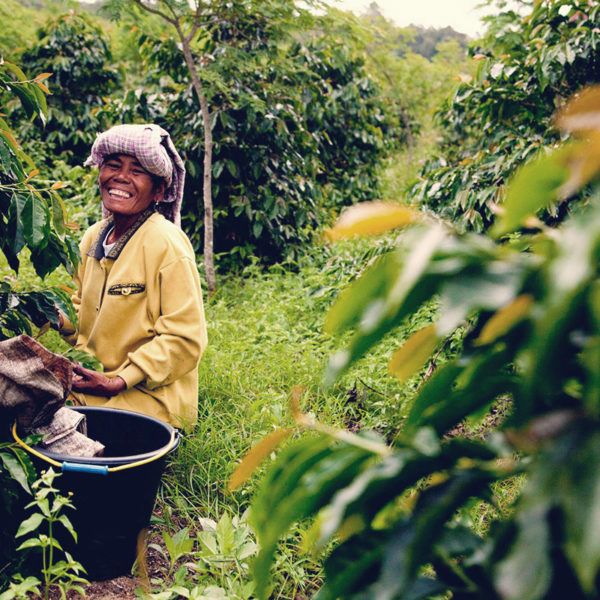 Getting as close to the source of production allows us to offer up great traceability – both a transparency of produce and a reflection that coffee is culinary, highly influenced by specific growing conditions. 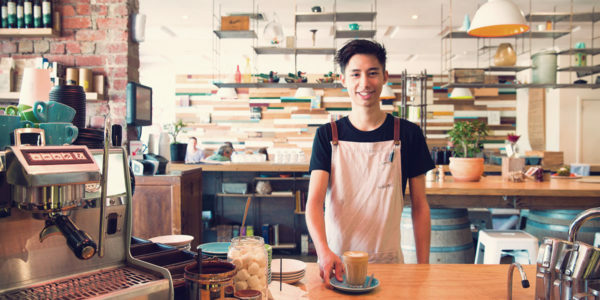 A cornerstone to specialty coffee is being able to recognise the factors that went into bringing it to life. At Origin, there a 4 key aspects. Originally used by the wine industry, this concept which details the environmental factors (climate, soil type and topography) is also highly relevant to coffee. The unique composition of a coffees terroir allows for an incredible variety of growing conditions, producing a wide array of coffee profiles. Just like other agricultural crops, the Coffea Arabica tree has many different varieties. Think of Golden Delicious, Royal Gala or Fuji: all apple trees but different varieties, each with their own unique characteristics. Some coffee varieties are noted for their disease resistance, some for their production capacity. Within the specialty coffee context, while quality remains a treasured feature we also need to be aware of the challenges (and costs) of variety at origin. Washed processed coffees are put through a pulper, removing the thin fruit layer on the exterior. They’re then soaked in tanks of water for between 12 – 24 hours before being rinsed, removed the next sticky mucilage layer. From here, the seeds, contained within a papery-like parchment are laid on patios or raised beds to dry. The final stage sees this parchment layer removed through hulling and the exposed green coffee is graded for density, size and defects. 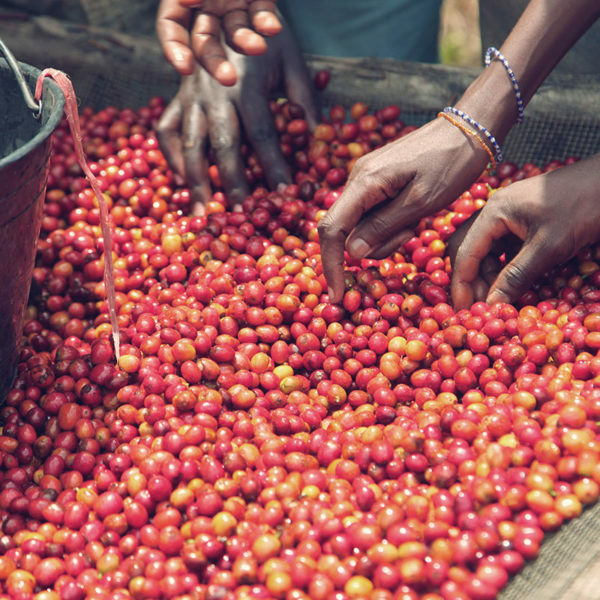 Natural processed coffees see the ripe cherries, pulp, mucilage and all, laid out in the sun on patios or raised beds. 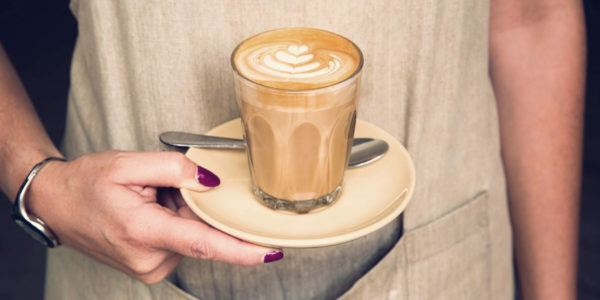 With the pulp layer left in tact, the coffee retains much of its inherent sugar, often turning into a distinct, heavy bodied fruit influence in the cup. With these added layers involved, the drying process often takes significantly longer and has added risks around over-fermentation. The payoffs however can be incredible, offering up layered, distinct flavours in the cup. Pulped Natural coffees land somewhere in between these two methods. The ripe cherries are pulped but then transferred to the drying beds. 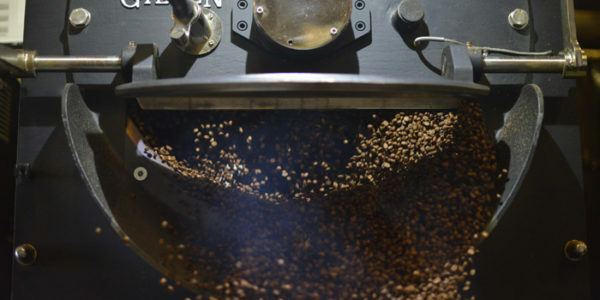 A middle ground of technique, these coffees often display characteristics of both washed and natural processing – some of the cleanliness and clarity of acidity of the washed, with an increased body and fruit notes of the natural. Quality Arabica coffees are generally considered to flourish above 1000 meters above sea level (MASL). While altitude by itself does not inherently indicate cup quality, it is definitely an influencer to the vibrancy and final complexity in the cup. In general, the higher the coffee is grown, the slower the fruit develops, seeing more of the nutrients and plant resourcing being fed into a smaller crop, in turn increasing the flavour intensity. The altitude factor is mitigated against the latitude of the origin. In some origins, like Hawaii for example, altitudes much above 600masl produce too much frost for coffee trees to flourish. It’s also important to recognise that coffee is a seasonal produce. Most origins will produce only one harvest per year, with the next flowering, maturating and ripening phase occurring 9 months later. Green coffee is a much more stable product than when roasted but its quality does not have an indefinite shelf life. There’s actually an internationally recognised defect of ‘past-crop’ which shows up as a pretty distinctive cardboard-like, drying character. Over the years, we’ve continued to evolve our sourcing philosophy as our understanding of green coffee aging increases. We find that the majority of coffees we source show their best profiles from 3 to 9 months post harvest (ie. 3 month of resting/shipping time & 6 months of usage). Some notable exceptions are coffees from Ethiopia that even 12 months post harvest can maintain an incredible cleanliness and vibrancy in the cup. To make sure we can maintain a consistent flavour offering through the year, our green sourcing team have done an awesome job in spreading our line up across alternating harvest seasons. For example, a beautiful heavy bodied coffee from Brazil rolls through for half of the year while in the alternate season we move to India, who’s harvest cycle is producing some tasty, fresh crop coffees.